Plot: A Balkan princess is in love with a guardsman but she is forced by her father to marry a king from a neighboring country. When she has a child and claims that it is the guardsmans', her father declares her insane and sends her to a convent. 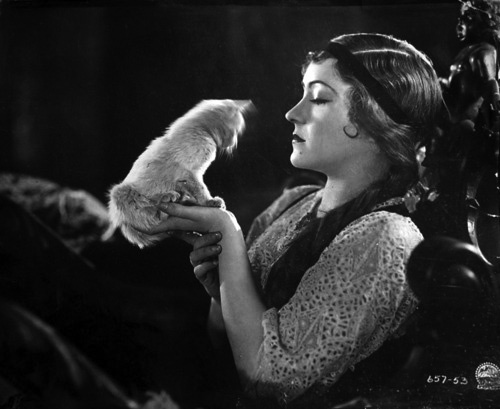 Dwan followed the popular Manhandled with a film that was another smash hit for Gloria. Her Love Story was based on a Mary Roberts Rinehart story and gave Gloria yet another opportunity to wear some fabulous gowns. However, this role again allowed her to show her acting range and the critics were impressed. 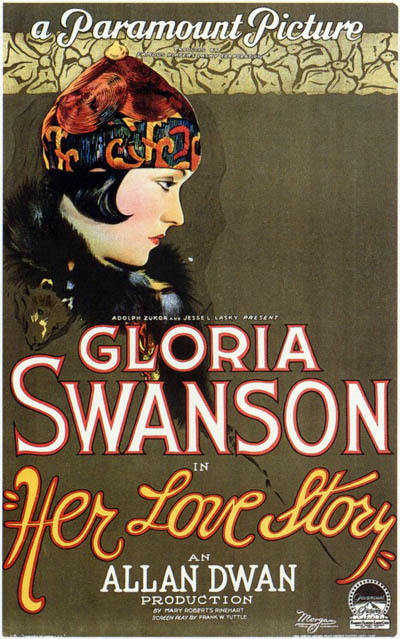 Gloria was at the height of her fame and popularity in 1924 and Her Love Story was the epitome of Swanson.